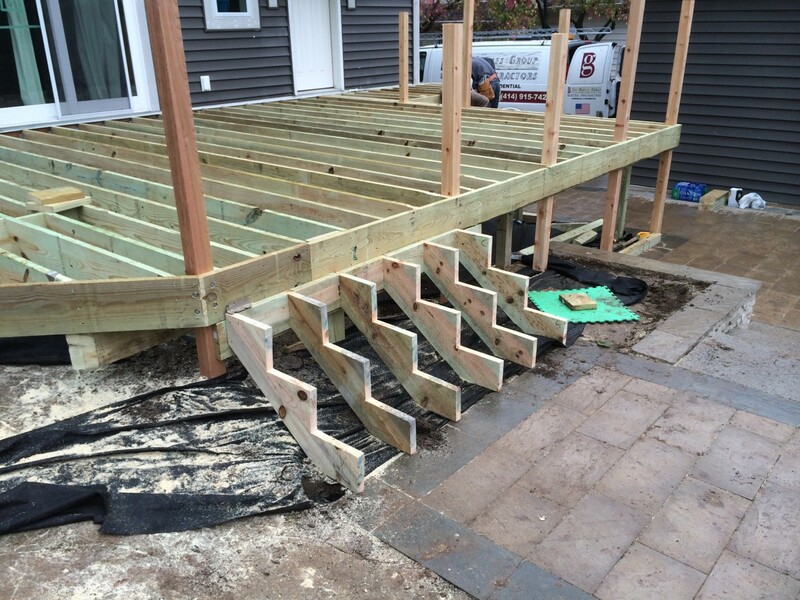 We built this cedar deck in Wauwatosa, WI. The paver really transitioned in nice with the deck. We built the deck and the homeowner wanted to finish the handrail cable rails.